Mark Owen’s instant #1 New York Times bestseller, No Easy Day: The Firsthand Account of the Mission that Killed Osama bin Laden, focused on the high-profile targets and headline-grabbing chapters of the author’s thirteen years as a Navy SEAL. 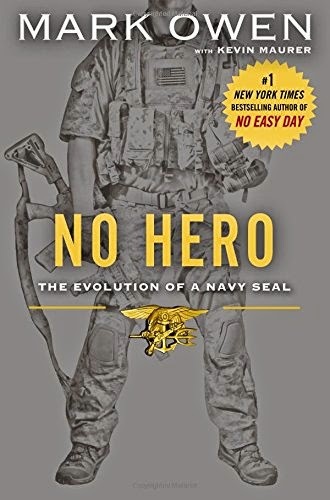 His follow-up, No Hero, offers a rare counterpoint: an account of Owen’s most personally meaningful missions, missions that never made headlines, including the moments in which he learned the most about himself and his teammates in both success and failure. Every bit as action-packed as No Easy Day, and featuring stories from the training ground to the battlefield, No Hero offers readers a never-before-seen close-up view of the experiences and values that make Mark Owen and the SEALs he served with capable of executing the missions we read about in the headlines.